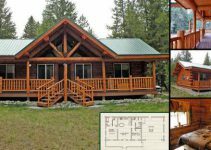 A dream log home built by Chris and Tony, all by themselves, after taking one of the Log Home Builders Association’s two-day classes. 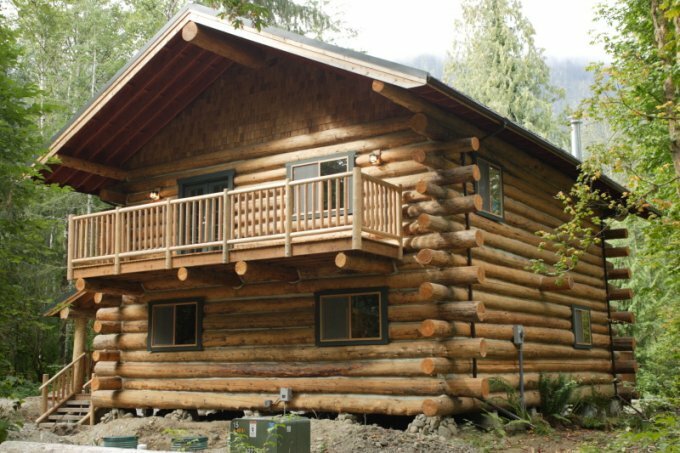 This log home looks like it was built by professionals. 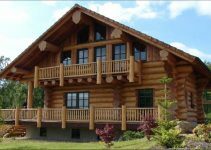 The fact that the couple built it on their own, without any previous experience is truly astonishing! 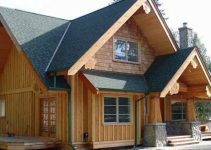 Their home has two storeys, a front patio with log railing, a covered side porch and lots of windows to let in natural light. 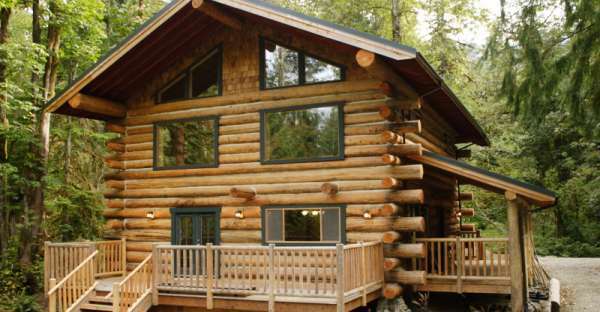 The green trim looks great on this log home surrounded by forest. 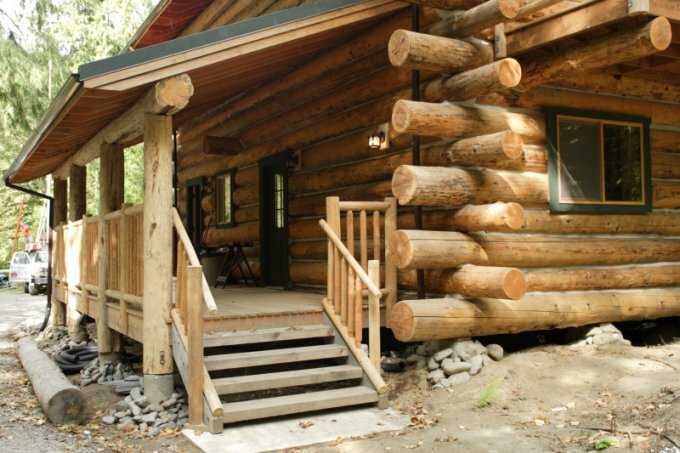 Upstairs there is a covered balcony, also with log railing. All we can say is: Awesome job! Beautiful homes Thank you for sharing..